Home Soccer Thomas: "To win in Ipurua you have to do a 'great match'"
Thomas: "To win in Ipurua you have to do a 'great match'"
"It was fantastic to finish with such a goal after making a good game, it is one of those that makes me feel happy," said the midfielder. 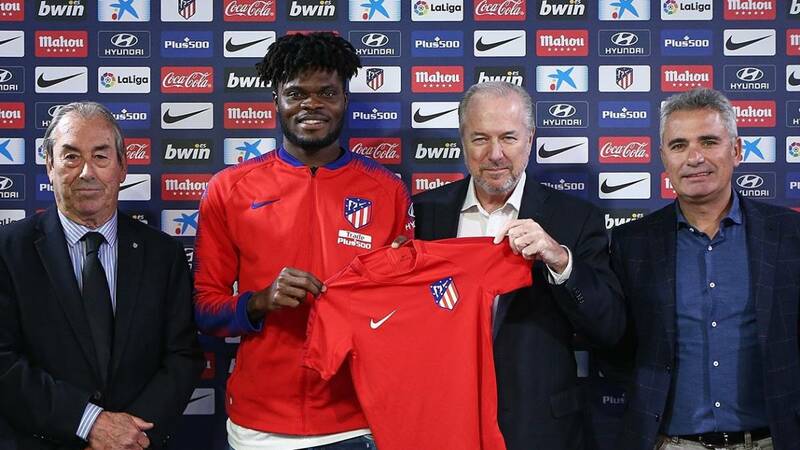 The Ghanaian Atletico de Madrid midfielder, Thomas Partey, warned that a complicated match at Ipurua awaits them this Saturday, where Eibar plays "well" and will force them to do "a 'great match" to get the three points.
" Against Eibar they are difficult matches, They play well in their field and to win there we have to do our job well and do a 'great match' ", said Thomas in the official media of the club rojiblanco. The African has had a positive month of March, marked above all by his great goal in Mendizorrotza against Alavés. " It's been great to finish with a goal like that after making a good game, it's one of the that makes me feel happy," said the midfielder, who for his performance that month has received the 'Five Star Player' award, a prize leaves you "very happy and happy" and grateful "to the people" who voted for you.